Converging the tablet and PC - The FridgeToaster? Converging the tablet and PC – is it viable? Desirable? The FridgeToaster? Apple’s eye-popping quarterly results tell many stories, but none more telling than the tablet becoming a fact of life in enterprises. With just a moderately interesting third rev in the iPad, Apple sold 11.8 iPads (a mere 35.1 million iPhones, too) in the first quarter. And a lot of them to CIOs handing them out to their end users. 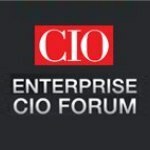 Enterprise CIO Forum Apple, FridgeToaster, iPad, tablet and pc convergence, tablets. permalink.